Amid the frenetic activity of the other festivals, this one is an oasis of calm. 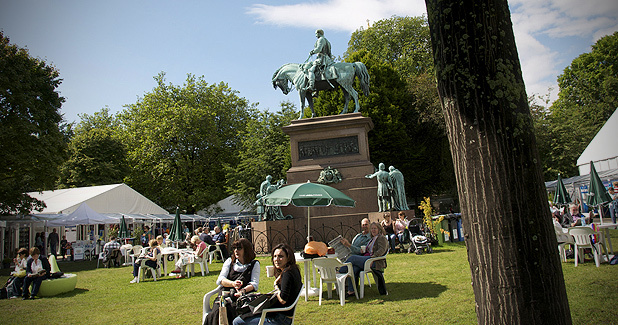 Talking place beneath canvas in the genteel surrounds of Charlotte Square, the Book Festival is a celebration not only of the written word, but also of the big ideas that concern our times. International in outlook and eclectic in range, it features major names from world literature, debut authors, pop scientists, stand-up comedians, comic book artists, poets and leading thinkers, and is one of few festivals that can boast Franz Ferdinand, Al Gore and J. K. Rowling amongst its previous participants. With hundreds of readings and debates now on offer, it has become the largest festival of its kind – a far cry from its humble beginnings in 1983, with just one tent and 30 chances to ‘Meet the Author.’ The great success of the accompanying Children’s programme too insures a new generation will pick up the literary bug to carry this festival forward. And although it can often seem like there won’t be room to move given the quality of the programme, there can be few better places to sit on a sunny day and while away a civilised hour or two with a good book.